Seriously, my last post was in January?! Yikes. There really is so much to say and so many things to talk about…. we’ve had a pretty awesome year. Ozzie turned 4 last week, and he’s pretty happy about that. i have lots of things to share with you. Our trip to Washington for the Moebius Conference this summer was amazing. I have about a zillion photos to share, eventually – but i wanted to quickly share what is happening in our lives right now. You may remember that last year we went to Vancouver last year in November to see an eye surgeon about Ozzie’s strabismus. Dr Lyons, in Vancouver, told us that we’d missed the window for ozzie to get binocular vision and that we’d be doing the surgery essentially for socialization. 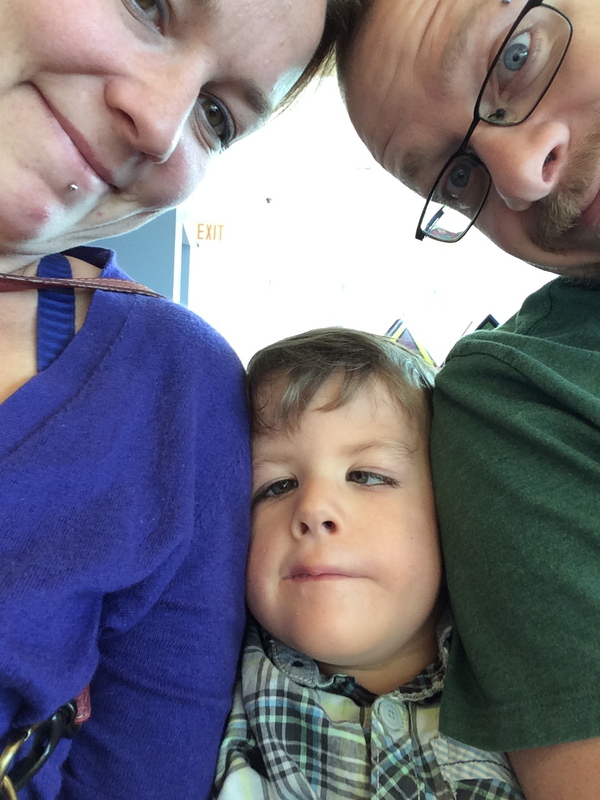 when we got home, brad and i were discussing whether or not we wanted to do the surgeries and travel back and forth to Vancouver for possibly multiple surgeries, and put Ozzie through all of that for essentially cosmetic reasons. 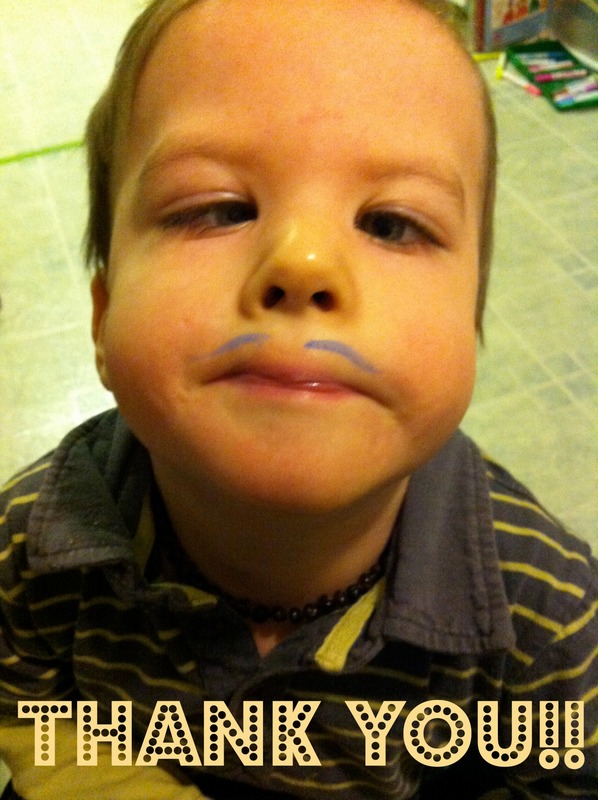 Also, Dr. Lyons told us he’d never actually done a strabismus surgery on a kid with Moebius We were on the fence, but we were leaning towards no. Then i was posting about the experience on facebook and our friend Kelsey suggested we come to Calgary and see HER doctor, who did HER surgeries. 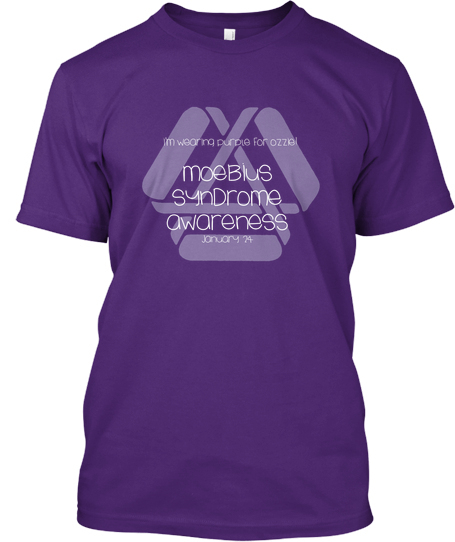 She has Moebius Syndrome as well. We didn’t even know that was an option, and it sounded like a no-brainer. 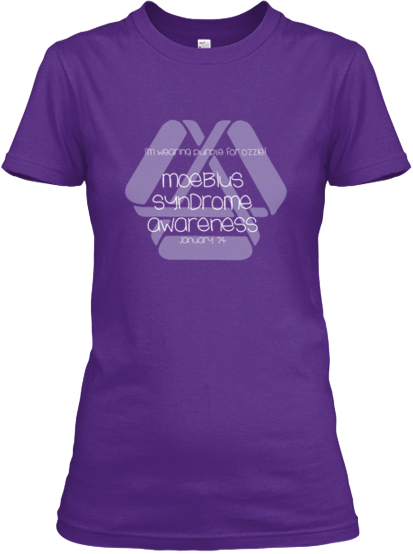 Calgary is so much closer and accessible for us, PLUS this doctor has had experience with Moeibus Syndrome before. That’s always encouraging. 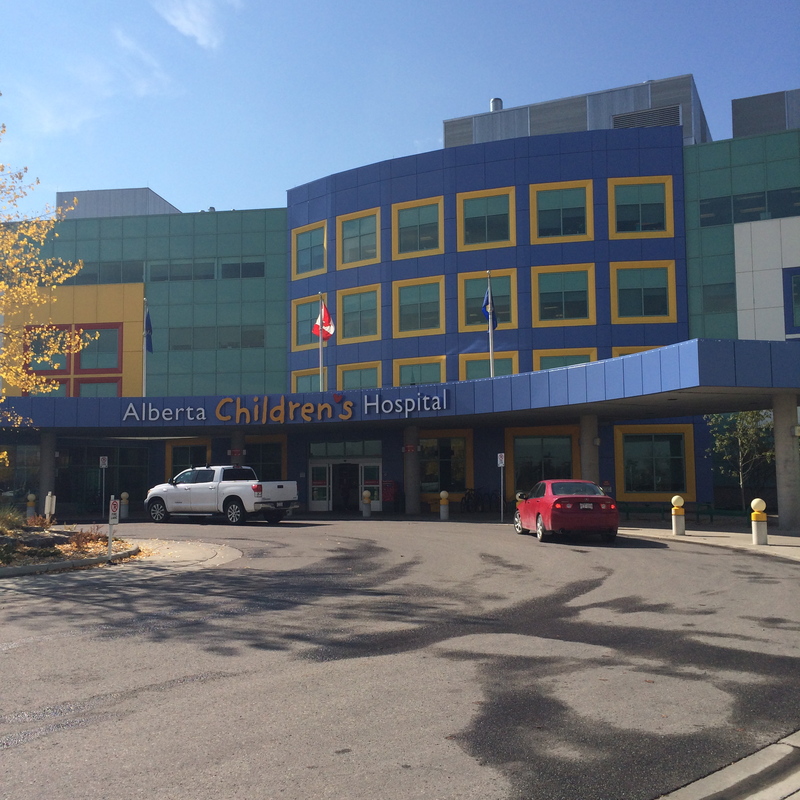 So, we got a referral and waited, At the end of September we took Ozzie to the Alberta Children’s Hospital in Calgary, AB to get a consult from the paediatric opthalmologic surgeon there, Dr. Astle. Calgary is much more manageable for us than Vancouver is… having lived in Calgary, we already knew our way around. My Uncle John and his family host us while we’re there, and they live only 8 minutes from the Children’s Hospital. The difference the Children’s Hospital makes is unbelievable. We didn’t tell Ozzie why were were in Calgary until we pulled up to the hospital. I told him we had to go and see an eye doctor. The hospital is so bright and colourful, and when you walk inside it doesn’t FEEL like a hospital. Ozzie has had his fair share of hospitals, and can tend to get anxious when we walk inside. Ozzie was stress free, the whole time. He had fun playing games with the technician, and when we actually saw the doctor he was laughing and having a good time. Anyway – we got some promising information. Dr. Astle explained to us that he thinks that Ozzie is a great candidate for surgery and that he thinks there’s a good possibility that he will gain some binocular vision. In fact, he said he’d be surprised if, when his eyes are properly aligned, his brain just didn’t click and do what it’s supposed to do. Dr. Astle told us he’d like to have us ‘fast-tracked’ and get Ozzie’s surgery done before Christmas! He said to think about it and gave us his secretary’s number, and to just call if we decided to go ahead with the surgery. 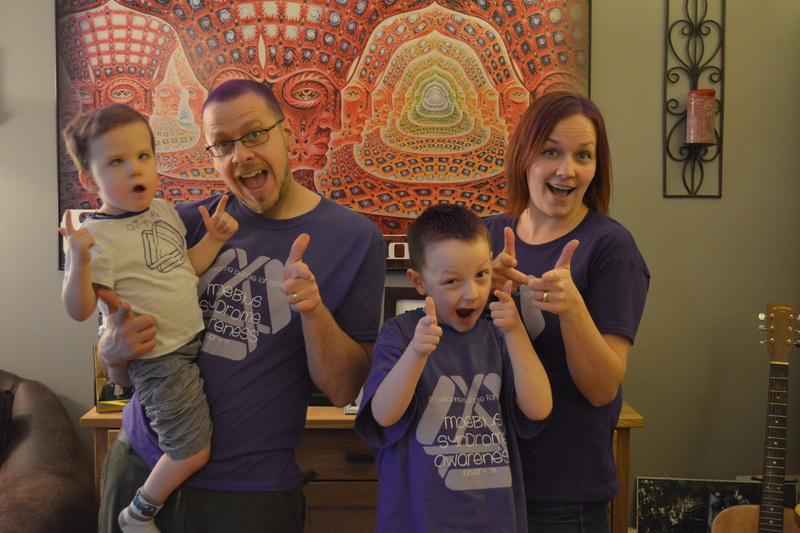 We left feeling pretty confident about going forward with surgery – and at the end of the appointment we said goodbye to the doctor and Oz blurted out: “Wait!! i want to give you a hug!” and so he climbed down off the big eye-doctor chair and ran over to the doc to give him a hug. It was crazy awesome. We talked about it on the drive home, and i gave their office a call the next day to get the paperwork started. His secretary told us that, realistically, we were looking at February for surgery dates. Then about a week and a half ago, we got a call that Dr. Astle had picked up another surgery date, and he wants Ozzie done that day… and now – Ozzie will be going in for surgery… next Friday. It’s all very crazy and exciting. i am nervous and happy and scared… and kinda sad. I’ve only ever seen my perfect baby with those adorable crossed eyes….. and to know that they will be changing the way he looks makes my heart flutter a little bit. I don’t want him to EVER think that we didn’t love him the way he was. We do. 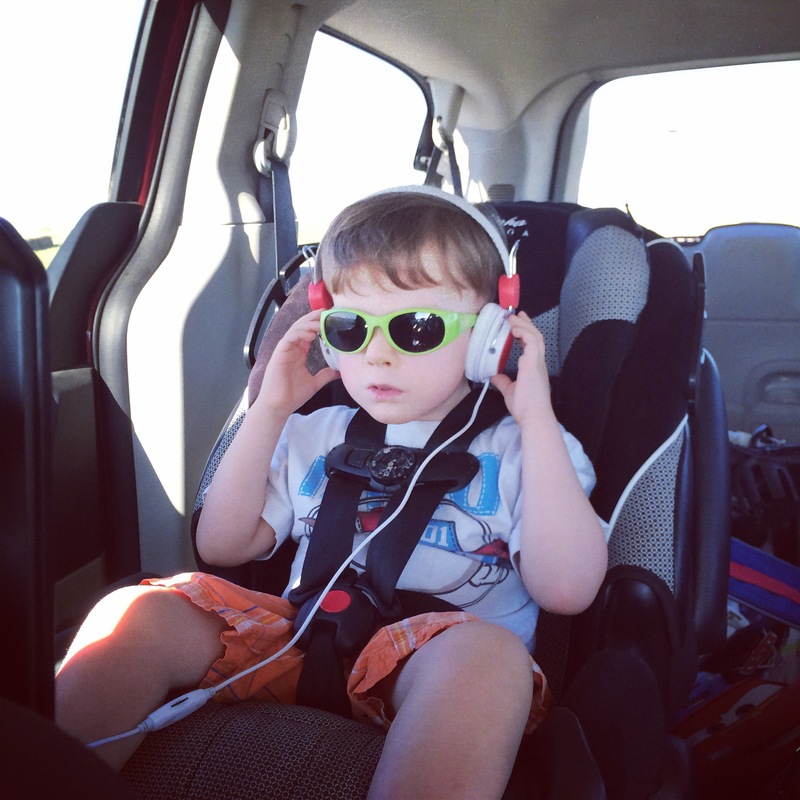 And if Dr. Astle hadn’t told us that he thought that this surgery would be beneficial to him, and that he would have improved vision and depth perception we might not have gone forward. So, we leave for Calgary on Thursday and go out into the great unknown. Dr. Astle tells us it’s a short surgery, only a few hours, and that he should be in and out. But everything will depend on Ozzie. 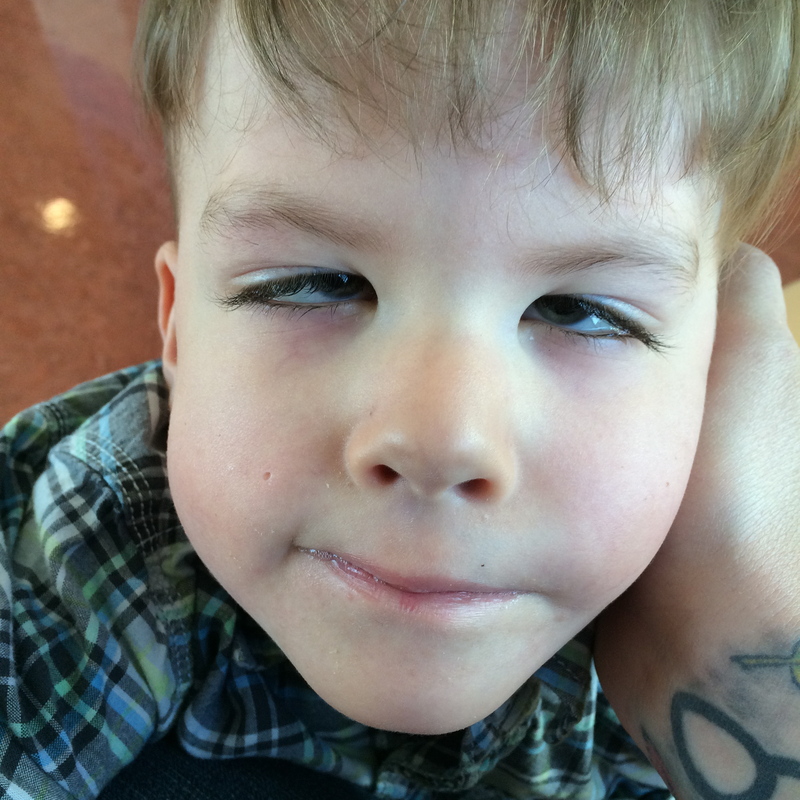 He’s come out of anesthesia and been fine, and he’s also come out of anesthesia and then needed oxygen for a week. It’s all very up in the air, and i guess that’s okay. We’ll just try to take it as it comes.